When I was a teenager in Greenville in the late 1990s, there weren’t many options for getting a cup of really good coffee. Fortunately, I didn’t know good coffee from grocery store canister blends at the time. I spent my afternoons writing bad poetry and drinking bad coffee, erroneously convinced both were of surpassing quality. My eyes began to open in 2002 when a new coffee shop opened on Broadway. Broadway Joe’s, owned by Jim and Trish Hart, had hip decor, stayed open late, played good music, and, most importantly of all, served better coffee than the caffeine hounds of our town were used to. 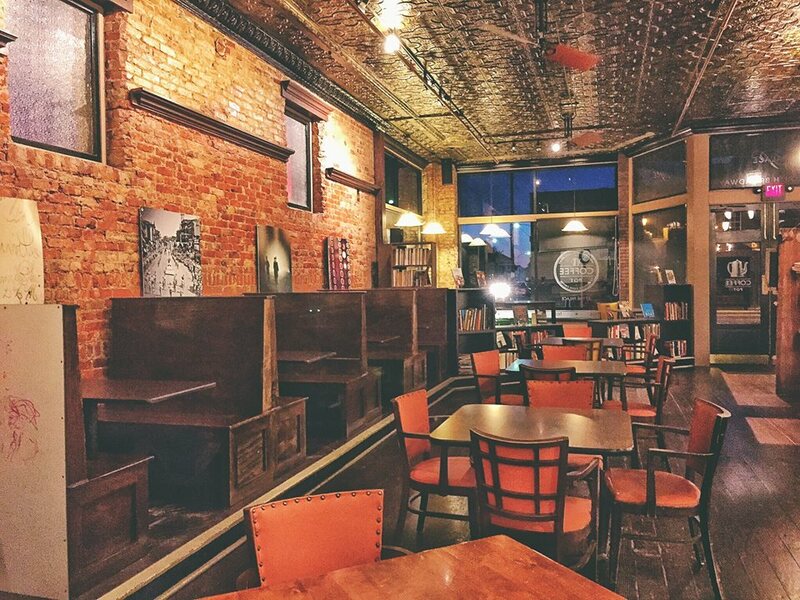 The Harts eventually sold the business, but they had laid the groundwork for a better kind of coffee culture in Greenville. 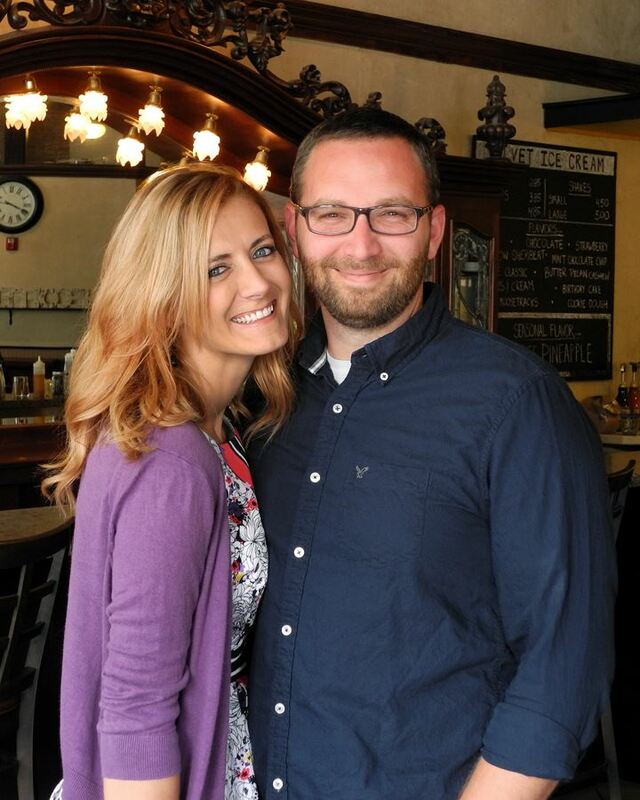 On October 1, 2011, Rob and Amber Garrett took that torch and opened The Coffee Pot, a coffee shop that has become a mainstay of downtown life. 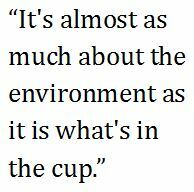 “It’s almost as much about the environment as it is what’s in the cup,” added Rob, reflecting on the culture of conversation they’ve cultivated in the shop’s first five years. When they dreamed up the idea for The Coffee Pot, the couple wanted to create a place where people could come together over ideas. Rob pointed out how many great works of literature and music and how many important social and political moments throughout history have had their genesis over cups of coffee between friends. 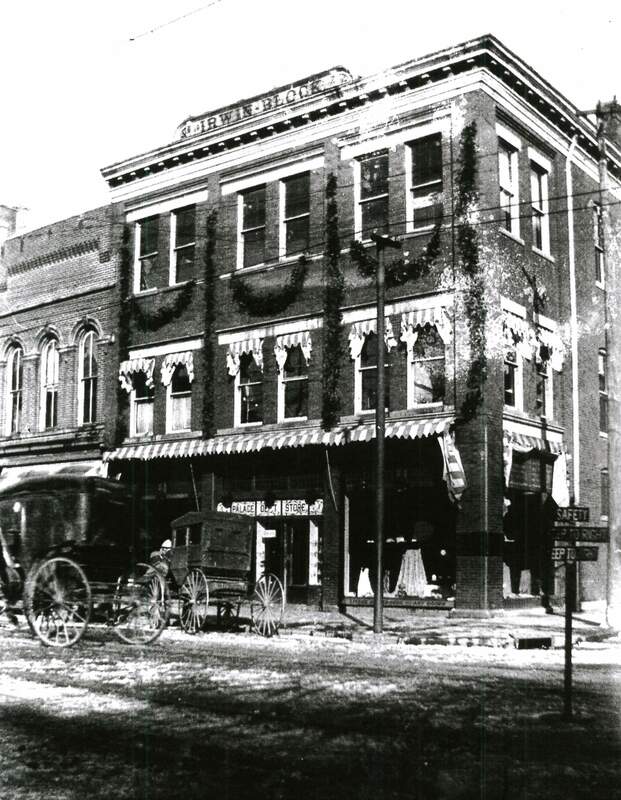 The Garretts envisioned an environment in downtown Greenville in which that kind of stimulating creative conversation could grow. The Palace in an undated old photograph. Creating a particular social environment is about more than intention, of course, and the Garretts were fortunate to find the perfect space available downtown to suit their vision. The Coffee Pot found a home in the ground floor storefront of The Palace, a gorgeous historic building originally built in the late 1800s. For decades, The Palace held a department store by the same name, and continued to host various clothing stores until the building was vacated in the late 1990s, in need of renovation. Fortunately, several investors initiated a project to restore the building to its original splendor and rent spaces on the first two floors to businesses. Broadway Joe’s was the first coffee shop to open in The Palace’s premier corner storefront, and was followed for a time by Sweet 101, a cafe known for their excellent baked goods, before The Coffee Pot opened. 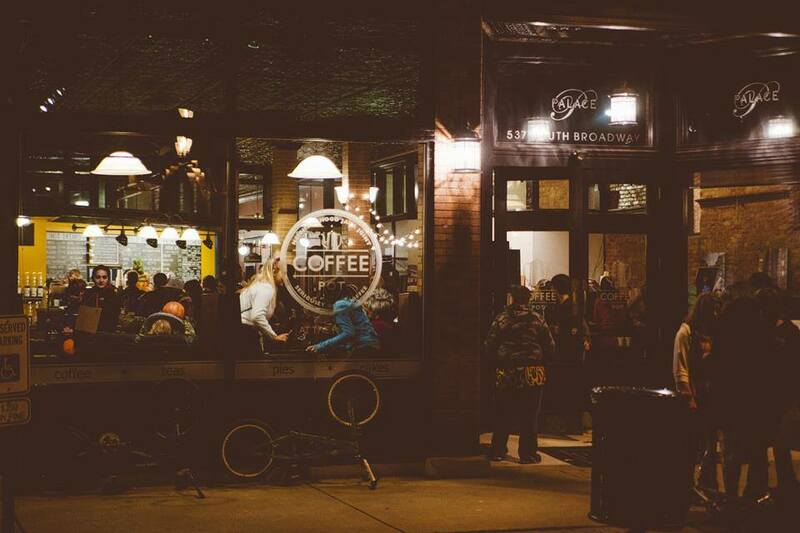 The Garretts aren’t shy in their praise for what Jim and Trish started with that first coffee shop. “I think the path Broadway Joe’s created was quite impressive. If it weren’t for them, we might have questioned the community’s ability to support a coffee shop,” said Amber. That care extends beyond just ensuring the quality of the coffee beans they sell. The company also partners with a non-profit based in Xenia called Heart to Honduras that provides medical care, dental care, farming assistance, and other aid to low income areas of the Central American country. Boston Stoker sells a coffee from one of the farms in Honduras, and for every pound of that coffee they sell, they donate a certain amount back to Heart to Honduras. In 2014, Rob and Amber were invited to travel to Honduras with a team from the two organizations. “Boston Stoker reached out to us and offered to pay for me to go to Honduras with them. We saw the opportunity for Amber to go as well, so we paid for Amber and both went to Honduras. We spent the first part of the trip doing humanitarian work, building houses and meeting people and being exposed to their culture. 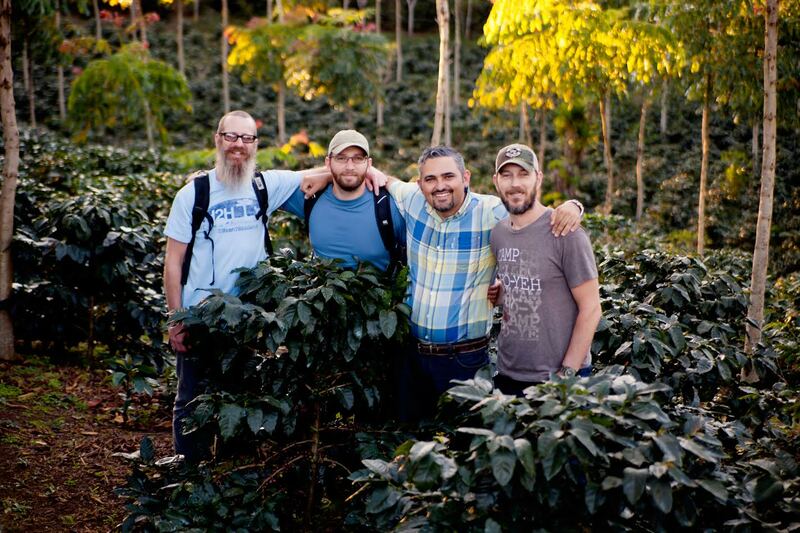 And then in the second half of the trip we visited the coffee farms,” said Rob. One of the things that has always impressed me about Rob and Amber, and one of the characteristics of the shop that has allowed for people to learn more about coffee without feeling intimidated, is this intentional lack of snobbery when it comes to their favorite drink. Rob knows more about coffee than most people you’ll ever meet, but you might have to talk to him for a while before you discover that. 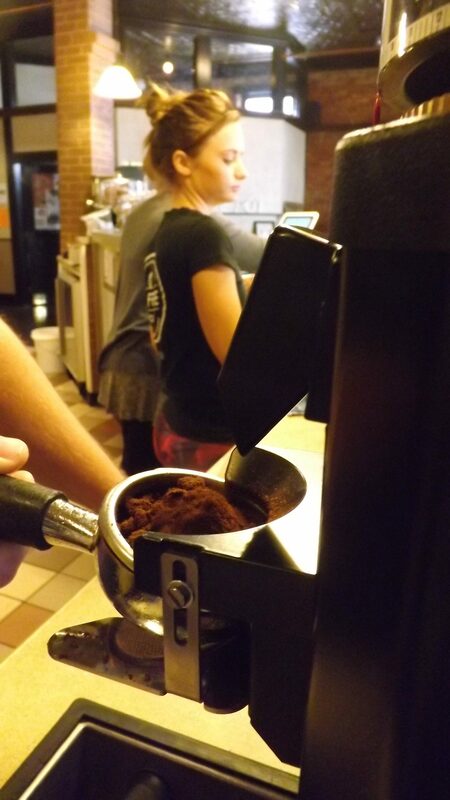 He doesn’t need to announce his knowledge to you; he makes great coffee, and trusts that coffee to speak for itself. This lack of pretense from the pair might have to do with their own inauspicious beginnings in coffee appreciation. “My aunt used to come over on Saturday mornings and bring donuts,” Amber explained. “We lived out in the country. My mom and her sister would have coffee and donuts and as a little girl I would sit there and sneak a cup of coffee. It wasn’t very good. It was just cheap coffee. But there was a charm to it.” Similarly, Rob remembers getting started as a teenager drinking the same bad store-bought coffee as the rest of us. “I remember the first time I had an espresso, for sure. A real coffee, made by an actual barista. 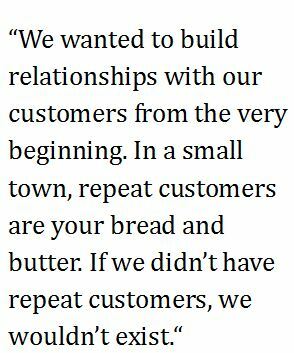 I was 22.” Less than ten years later, the couple had the knowledge and passion to open their own coffee shop. “We drank coffee so casually for such a long time, but coffee might possibly be the most complex drink on the planet.” That’s a bold statement, but it’s one Rob defends convincingly. As he explains the factors that go into the flavors in a cup of coffee–the bean’s origin and growing conditions, the way it’s ground, the specific means by which it’s brewed, the temperature of the water, and others–you begin to understand the dizzying array of variables that can be played with to create a simple cup of Joe. The day after we sat down to discuss the shop’s first five years, Rob gave me a crash course in espresso drinks to try to give me a picture of some of the complexity–and simplicity–of making great coffee. He walked me through the basic battery of demonstrations he gives all his new employees, and we sampled each drink together. “All espresso drinks are about ratios and balance of flavors. People think there are 93 different kinds of espresso drinks, and though there have been little variations over the years, there are really fewer than 10. Actually, there are about 5 or 6 espresso-based drinks that Americans consume on a daily basis,” Rob clarified. 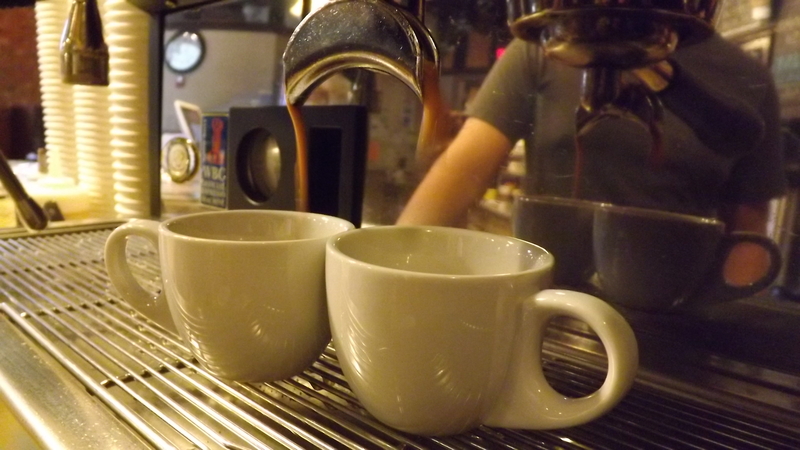 We started out with a classic espresso, a strong, pressure-brewed coffee that yields a profound array of flavors. Rob explained coffee professionals are beginning to see more experimentation in pulling espressos. For a long time, espressos were always a blend, and they were always a dark roast, because people had a certain expectation for how espresso should taste. Now, we’re starting to see more single origin espresso beans, just as we do with drip coffees, and the use of lighter roasts. From espresso, we moved on to macchiato, which is espresso with a small amount of steamed milk (“macchiato” literally means “stained” or “marked” in Italian, indicating the minor role of the milk in this balance). Finally, after a discussion of Americanos and latte styles, we moved on to cappuccino, Rob’s favorite drink on the espresso continuum. He poured our cups, and when I took a sip, I understood his love for true cappuccino. It tasted like gentle fall sunlight in liquid form. I’ve enjoyed proper cappuccinos for a long time, but a fuller understanding of this oft-corrupted drink gives me a better appreciation for The Coffee Pot’s commitment to quality. There was a time, of course, when Rob wouldn’t have had the time for this kind of leisurely demonstration for a curious writer. I asked the Garretts what the first days and weeks and months were like when they opened the shop, and they both laughed before answering. When the couple talk about the first year after they opened, the exhaustion of the memory is clear in their voices. They were constantly both stressed and excited, nervous and energetic. Amber talked about how she would bring their son (then in elementary and now starting high school) to the shop in the evenings just so he and Rob could spend a little time together. The family ate more carry-out dinners from D’Alessios, the small Italian restaurant behind The Coffee Pot in The Palace building, than they can remember. Rob and Amber Garrett. Photo by Nick Schmidt. Rob and Amber Garrett had a vision for a space where friends could gather around good cups of coffee and share ideas and laugh and have long conversations. They didn’t want to wait for someone else to create that space, so they took a risk (and some deep breaths) and opened The Coffee Pot. I, for one, am grateful. It’s been five years now. Raise a cup of your favorite coffee to many more. I am very impressed by the ways Amber and Rob Garret have helped re-energize Greenville. My oldest son lives in McAllen, Texas, but when he’s in town, he spends nearly every morning at The Coffee Pot. His brother, a singer (like many other excellent acts), has performed there on a weekend evening. As for my wife and me, we go for occasional dates to the welcoming atmosphere, enjoying the beverages, ice cream, and/or pastry. I truly have had deep conversations there as well as a lovely morning read of a book of Robert Frost verse (provided by the establishment). May the Garrets have a long, long stay in Darke County! Thanks, David, for writing this excellent article about our fav coffee shop in Grnvl and Rob and Amber. It is wonderful to feel like I now know them better and certainly, understand the art and beauty of real coffee a bit better. It will make our coffee drinking exploration even more wonderful, yes? I have several adult children who have moved away from Ohio but still love their downtown Greenville. I will FWD this article to them and they will be PROUD!